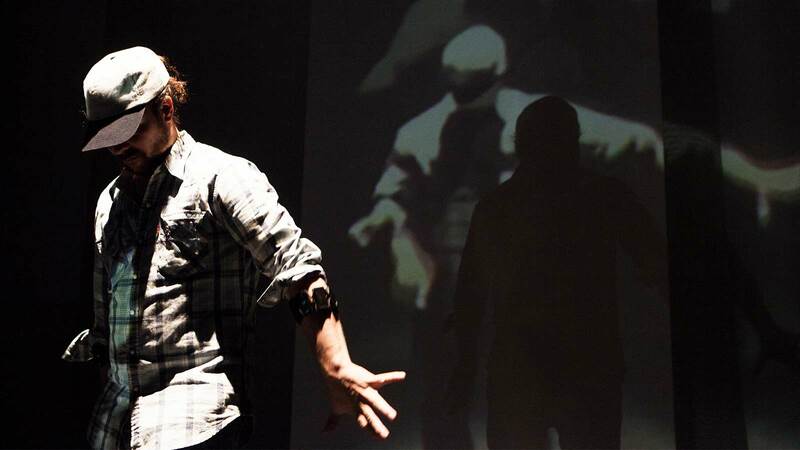 Patrick Saint-Denis is a composer working mainly in sound art and interactive scenography. 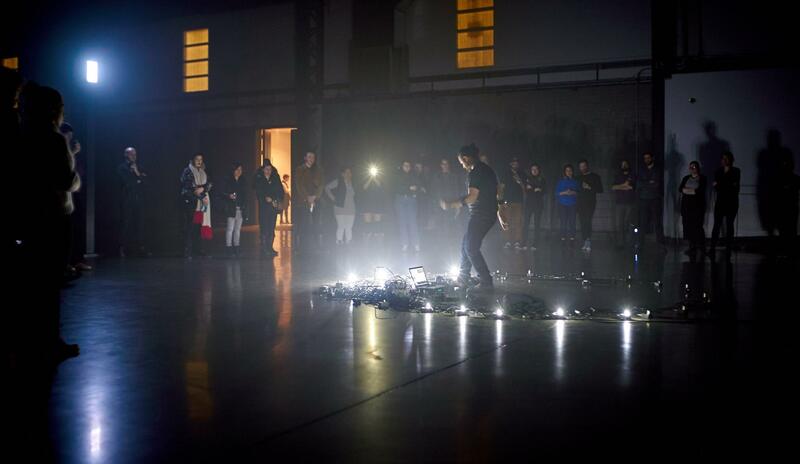 His works range from video installation to large-scale robotic machinery and are regularly presented in concert, exhibition, and dance both in Montréal and abroad. He also lectures about visual music and digital lutherie at the Université de Montréal. As a Soundsnap user, we invited him to do an interview about his work and experiences. Tell us about yourself, where you’re from, and long you’ve been doing music and installation art. I’ve been based in Montreal since 2000 and a lecturer now at University of Montreal since 2010. As an artist, I’ve had many creative chapters, from instrumental music scoring to interactive AV to robotics. I like to throw myself in new directions. How did you get started doing sound installations? What made you want to transition from your background in traditional music composition into the more technological and experimental side of music? It’s a long story. In a certain way, I’m a product of the computer music democratization process that has been happening over the web since the late 90s. I started with interactive AV in the early 2000s and quickly moved to physical computing after. I see myself now as a builder of “scenographic instruments”. I’m trying to bridge digital musical instrument design and performing arts. I see every step of development of a project, from machine design to coding and performing, as a single creative gesture. What kind of things inspire your ideas for new projects? And what motivates you to keep making new things? I like to start with a machine that extends the body. 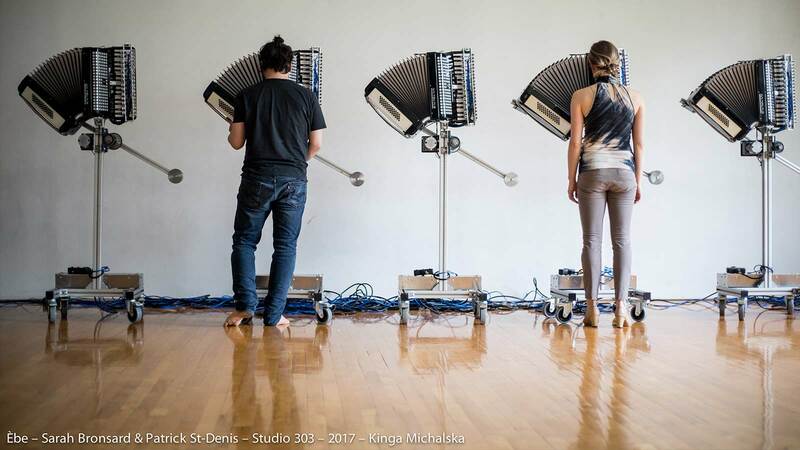 Like with the accordion robots that extend the diaphragm of a performer with the use of conductive fabrics (see the video here). Or like with the Sway Array project where speakers extend the head of a performer. Meaning always comes after, it emerges during the creative process. Do you have any go-to tools, either hardware or software, that you use all the time? I’ve wandered around many different programming languages over the years. Now I mostly use superCollider, Arduino, and openFrameworks. Finding the right tool for the right task is something I’m always after. How often do you use pre-recorded sounds as a source for your installations? Did you use any sounds from Soundsnap in your projects? I don’t use that many pre-recorded sounds, it’s often something that comes at the end of a creative process to link different things together. I’ve used Soundsnap on many dance productions and on my own projects also. Mostly concrete sounds (nature, foley, etc.). I’m at ease with programming and sound synthesis but field recording is a practice I’m still foreign with. Whenever I need concrete sounds I rely on sound libraries like Soundsnap. The library is vast and easy to search. I like that I can quickly test over the web with the creative team (choreographer, director, etc.) before buying a track. Everything else is so complicated (programming, robotics, interaction, etc. ), libraries make my life easier! Being in the studio with dancers and performers. Wandering literally together, not really knowing what we’re doing. I like that part where everything is still opened. What’s your favorite part about working on a project? What’s the most difficult project that you’ve ever worked on? Any unique challenges you’ve had to overcome? The “Vertex project” definitely. We spent three years in the basement of the University of Montreal to built this array of 16 robotic Leslie speakers… It’s something in between an Acousmonium and a DMI to perform with. One can play the “instrument” with a flight simulator interface. Have you ever had one of your installations stop working in the middle of a performance? How do you handle a situation like that? Do you have a personal favorite project or one that was best received? Every project is special, but I’m close at the moment with Èbe, a project revolving around tides, flamenco, and accordion robots. There are a lot of Soundsnap “harbor sounds” in this project actually! Do you have any projects coming out soon that you want to let people know about? Yes, a new project of live cinema called “We have to kill cinema – Part 1” that I started to perform in Montreal last September. Also next February, I’ll be at the SAT in Montreal with the accordions and shortly after in Quebec City with a new production revolving around new music interfaces. Where can people go to find more of your work?